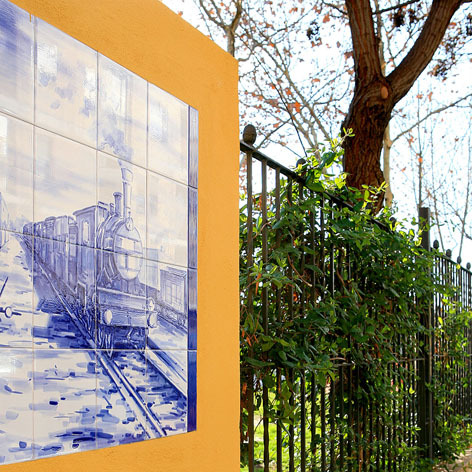 Playground decorated with ceramic murals depicting the history of railway in Manises, from the moment of its inception in 1889 with steam locomotives. The arrival of the railroad to Manises was of great importance, as it allowed manufacturers to from Manises to give an exit for their products, as well as receive their raw materials. These ceramic murals are the work of the artist Francisco Romero Botet.